BizInt Smart Charts for Patents can build charts from search results from Questel using Orbit.com, the command line interface, or QPAT. Instructions are provided for Orbit.com, the command line and for QPat. 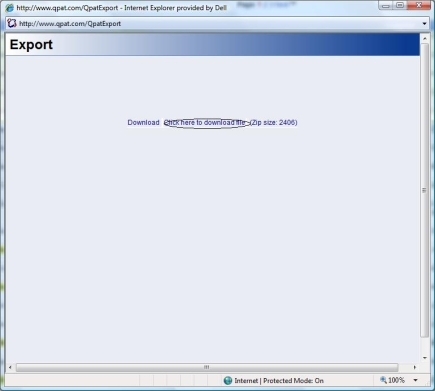 Beginning in version 3.6.3, legal status information from Questel is imported into your report. 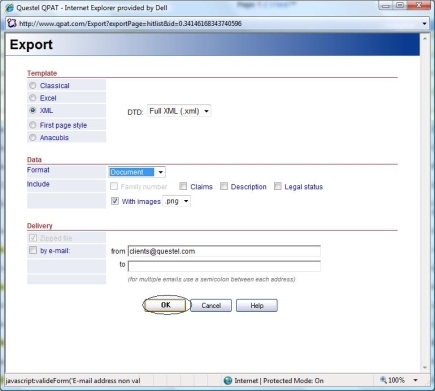 This page describes how BizInt Smart Charts for Patents extracts legal status information from the ACT field in FAMPAT or from the LGST database when looking at publications from PLUSPAT. Conduct your search on Orbit.com. On the first Export panel, choose whether or not you want to include images in the export. Press "Next". If you choose to include images, the Zipped file option will be chosen by default. Select Download and click Finish. Save the resulting .BPD file and import it directly into BizInt Smart Charts. Even if you chose "zipped file", import the entire file. BizInt Smart Charts will unpack the components of the ZIP. 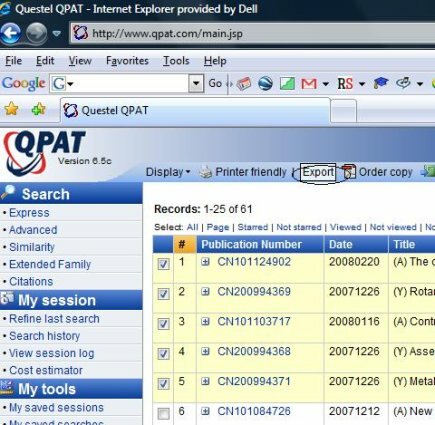 Log on to the QPat system and conduct your search. Log on to Questel (command line or QWeb) and conduct your search. When prompted for the Delivery Type, choose email. When prompted for the Delivery Format, enter XML. You may use any display format and may include images. You will be prompted to select a Page Style. Enter 1 for the default page style. 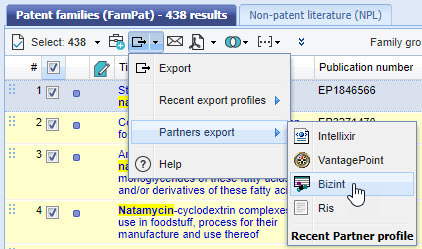 When the export email arrives, save the ZIP file to your hard drive, and import it into BizInt Smart Charts for Patents. 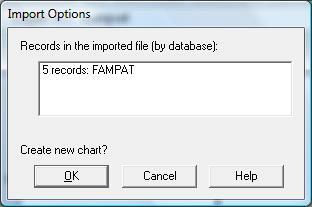 Smart Charts will automatically extract the XML and images from the ZIP file.